Airports are unique in the fact that they are highly regulated by the government, but also just as service-based and consumer-driven as any other company in any other industry. Plus, the aviation industry is highly scrutinized by the media, so any decision made by airport management or any negative action by an employee is bound to be covered widely and talked about everywhere. Because of these factors, airport leadership has the difficult challenge of keeping its workforce educated about constantly evolving state and federal regulations as well as keeping them engaged enough to offer the best possible consumer relations -- all while making sure planes get from one place to the next in the most efficient and organized way possible. If you haven’t already guessed, being a higher up in airport management is a tough job to navigate, and that’s why some of the busiest airports in the world are turning to executive coaching to help instill a culture of leadership built to control the traffic of a highly stressful job. Here are some of the benefits they’re reaping. If you’re of a certain age, you can remember when part of the fun of traveling to distant lands was the going to the airport and getting on an airplane. Friends and family could accompany you to the gate, the cost of a drink or meal was reasonable and a checked bag was free. The whole experience used to be fun, if not a little luxurious. But the reality now, though, is that people hate flying. 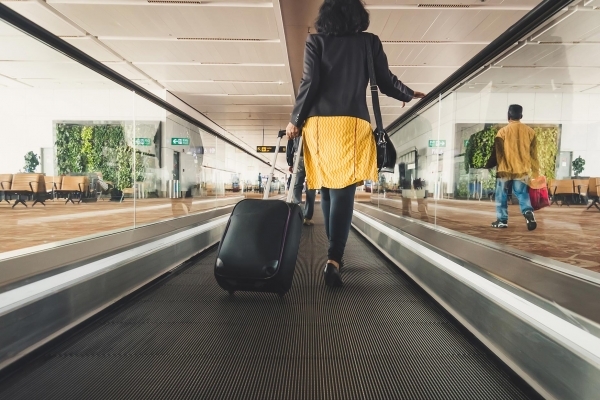 In fact, one recent survey found that over the course of a year, Americans avoided over 30 million trips required flying, costing the industry almost $25 billion dollars. 60% of people said fees, flight changes and seat assignments have gotten worse in the last five years. Over 50% said that the overall cost of flying has gotten more expensive. 47% said that flying in general was a hassle. 40% of frequent flyers said that they would take at least three more trips if the experience was better. While those numbers seem grim, on the bright side, the fact that perception of the overall industry has gotten so bad on the consumer side of things is actually advantageous for airport leadership that wants to do better. In other words, you don’t have to look too hard to see that improving customer satisfaction offers a huge opportunity for growth. The thing about executive coaching that works so well is that it makes leaders become more aware of their surroundings, so they can become better in tune with the processes and services that work, as well as the ones that don’t. Leaders also typically become more empathetic toward the experiences of people on the entire revenue chain, from customer to management, and that more often than not leads to positive change. Let’s face it, due to a variety of factors, the old days of the airport experience are gone. But positive change that drives customer satisfaction has not only nostalgic benefits, but financial ones, too. Studies show that satisfied airport customers spend almost $30 at airport concessions per flight, but that number plummets by 30% if they’re having a poor experience. Once you start doing the math of all the people on all the flights in your airport, it’s easy to see how much money is there for the taking -- if only the airport wasn’t the worst part of their trip. Because of the highly-specialized and nuanced work of an airline industry employee, retaining them is imperative to staying profitable. Studies show that in the aviation industry, employees as a group generate just under $500,000 per quarter, and the cost can be staggering to replace one -- up to 33% of one’s total salary. One of the biggest culprits in losing employees is poor people management, as it creates a culture of disengagement among employees that makes them want to leave. The thing is, people who climb up in leadership are often better at things such as administrative, financial or marketing tasks rather than people skills, yet being able to effectively relate to others is one of the most important tools for a good leader to have. Executive coaching helps leaders see the blind spots in their collaborative and communicative approaches, so they can better connect with employees and motivate them to be long-tenured workers who eventually become leaders themselves. This way, you can create a strong culture of productivity, succession and engagement all while saving hundreds of thousands of dollars on recruiting costs. David Couper Consulting helps businesses all over the world develop better leaders. We also help regional and international airports -- such as LAX -- increase revenue by getting leaders to better motivate employees to be more productive. Plus, our innovative and unique methods are carefully planned to drive better employee and leadership retention, so organizations can save big money in recruitment costs. To learn more about how we can lead your transition to a culture of more highly-productive workers who have a better buy-in to your organization’s mission, send us a message at Info@DavidCouperConsulting.com. Josh Espinosa is a freelance writer and designer. He also founded the Approachable Music project, a music education business on a mission to make learning to play easier and more efficient.